← Making a Cart – Part Two: Wheels on a Budget! Something very special came in the mail this week…Bear’s carting harness!!!! 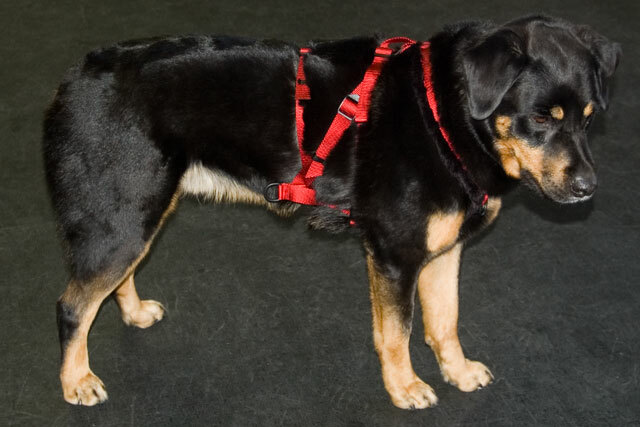 After much internet searching I decided on a Nylon Siwash Carting Harness from Dog Works in Tennessee, USA. I placed my order on October 5th and it came on the 25th which means it made pretty good time, considering it had to cross the border. I do my fair share of mail order shopping and I’m thrilled with my Dog Works experience. The order was timely, correct and came wrapped in plastic inside the sipping box. Shipping to Canada was reasonable (around $9USD) and I did not have to pay duty on the order. Packed in the box with the harness, came a handout on fitting your harness, a guide for how to tell if it’s too big or too small. There was also a note about their hassle free exchange policy which means you send it back with $7.50 and they’ll send you a new one. 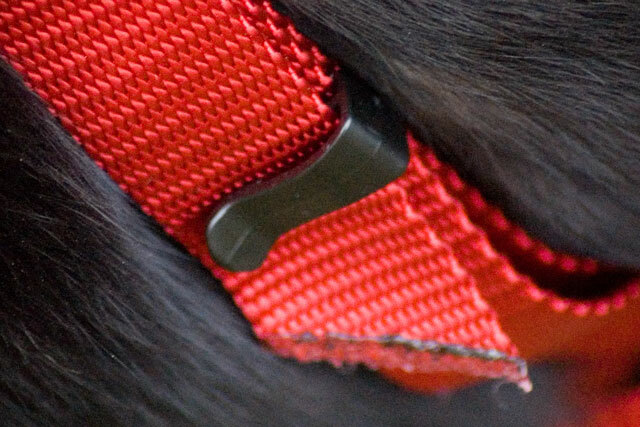 In my opinion, having to pay the shipping does not make it ‘hassle free’ but paying less than $20 for a new harness is a lot better than paying the full price for a brand new one. 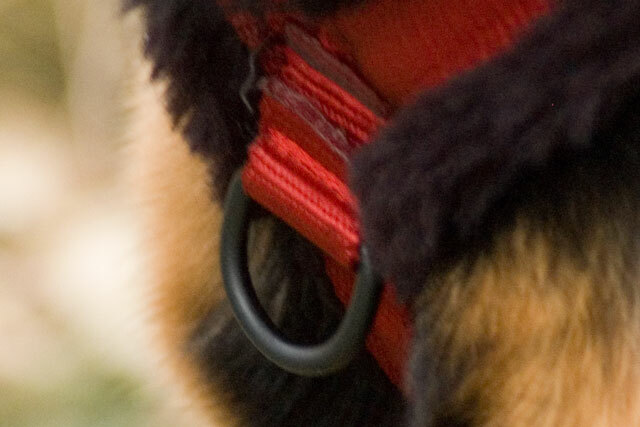 There is a D-ring on the front of the harness for leash clipping. 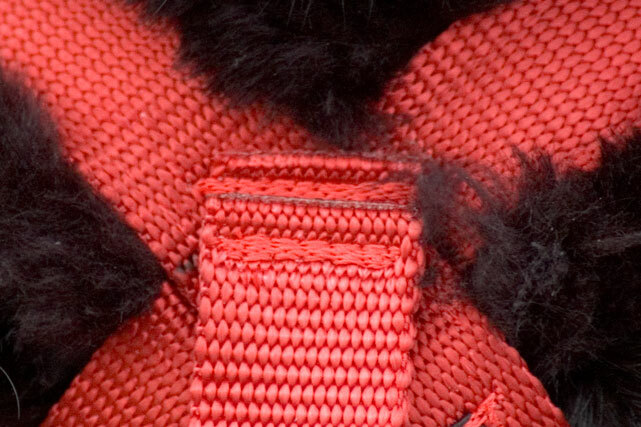 There are handy dandy little strap clips on the adjustable girths to keep wayward webbing out of the way. 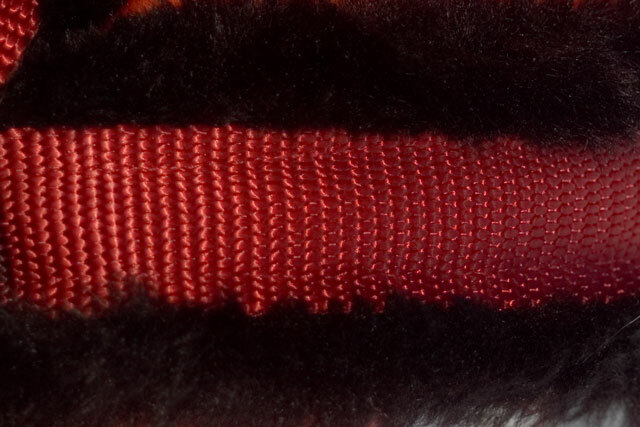 All joints are stitched multiple times! 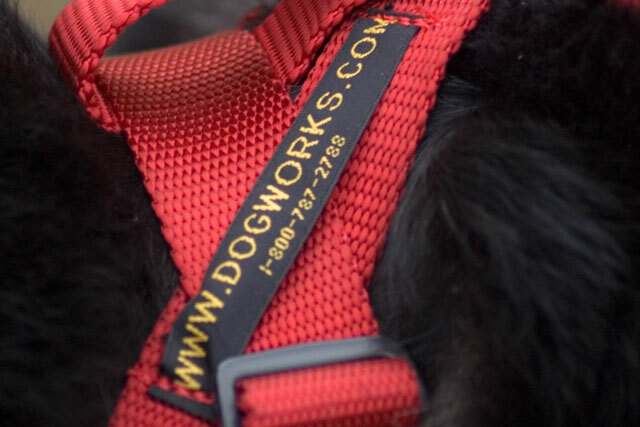 The company name, website and phone number are sewn right onto the harness so you know who to call when you have issues or want to order another harness. The only teeny tiny complaint that I have is that the all the hardware is plastic, except for the brass clips on either end of the traces. That being said, I understand that brass or nickel hardware is costly and that I could get all the brass hardware a girl could want on the Dog Works Varsity Leather Harness which is only a little more than my nylon harness ($215.50 more, to be exact). Now…to finish that cart next week! When are you planning on trialing? We are planning to have a CKC Draft Dog test in Regina next September! I thought we’d putter around at home and trial if a test ever came up. One in September sounds like perfect timing! And there might be a few other folks from Brandon also interested.